Fixed-line telecommunication networks, otherwise known as landlines, are quickly fading from businesses across America. In 2017, most companies are opting for modern, versatile solutions like cloud-based, PBX phone systems. They’re fast, reliable, and portable enough to work from anywhere in the world. 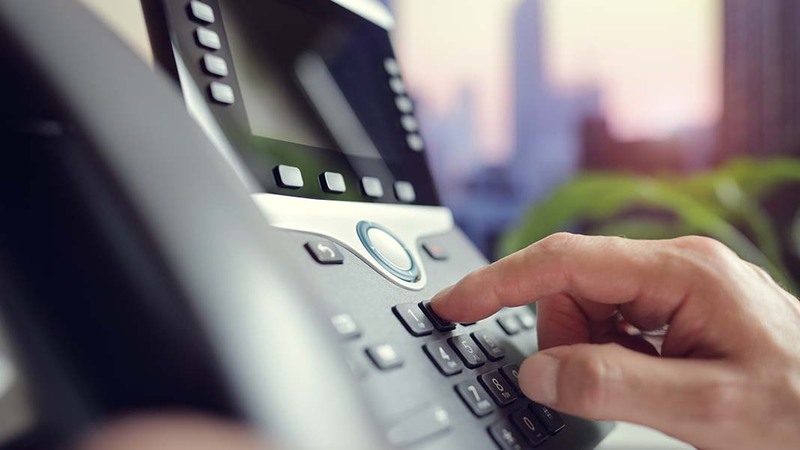 So, if you’re a small or medium-sized business that’s still relying on landlines, we’re going to tell you four convincing arguments for cutting the cord. 1. Landlines are expensive to install and maintain. Surprisingly, there’s still a myth floating around that landlines are the cheapest option. This isn’t necessarily true! Indeed, the cost of installation, equipment, and continual maintenance for fixed-line networks can be incredibly high. Modern solutions like PBX and VoIP require little upfront investment. Plus, your monthly phone bills are quite low. Any issues with your cloud-based service are consistently spotted by the system provider and remedied immediately before they have a chance to affect your business. 2. Employees can’t answer calls away from their desks. Landline phones aren’t even remotely portable. If an employee leaves their desk for a cup of coffee, they risk missing important calls. They also can’t bring their phone home or take it on business trips. Meanwhile, cloud-based systems are immensely flexible. Your team can access work calls from virtually any cell phone or device with an internet capability. 3. Phone lines are susceptible to outages. If a natural disaster hits, a fixed-line network can easily be knocked out. It only takes one strong gust of wind to disconnect a landline! When you’re using a PBX or VoIP system, your phone service does not rely on the internet. Since connectivity is cloud-based, calls can be routed to any device, person, or place. For example, TTI has data centers in Pennsylvania and Arizona, states not impacted by tropical storms and hurricanes. 4. They inhibit company growth and displacement. In today’s bustling world, businesses are always undergoing changes. Whether your team is expanding or you’re moving facilities, you need a phone system that evolves with you. Transferring landline services to a different building or implementing additional lines for a new employee is often very costly. With cloud-based PBX and VoIP systems, these alterations are markedly easy and inexpensive. Needless to say, it may be time to consider ditching your company’s landlines. Today, the best coverage is provided by cloud-based systems like TTI’s M3S Cloud. If you’re ready to move into the future, contact Today’s Telecommunication Industries (TTI) for a personalized consultation and quote. Based in Houston, our company is one of the USA’s largest providers of business phone systems.